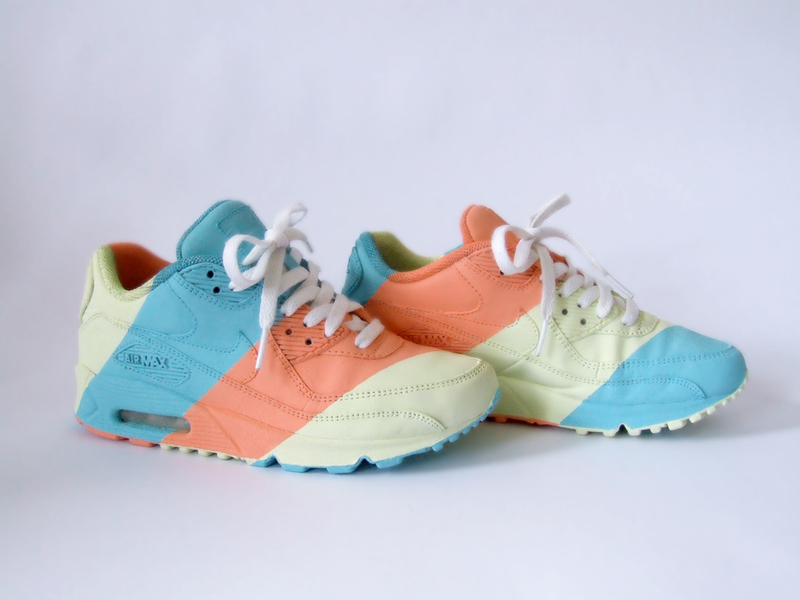 This is a custom Air Max 90. 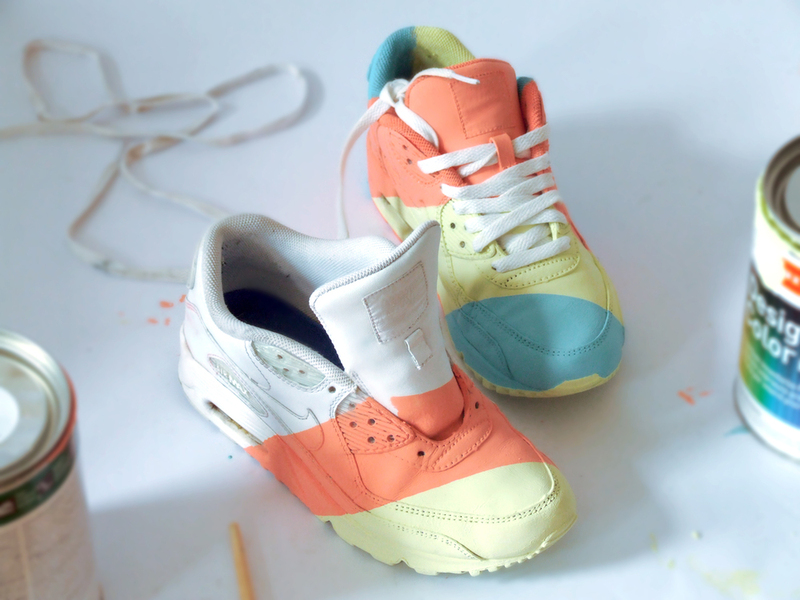 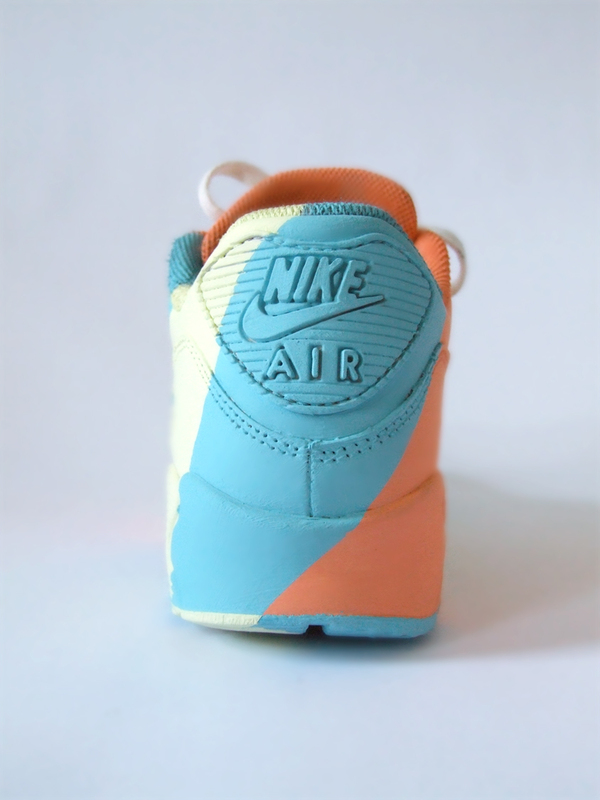 It is a fan-piece which emerged from a true sneaker fetish and the desire handcraft something. 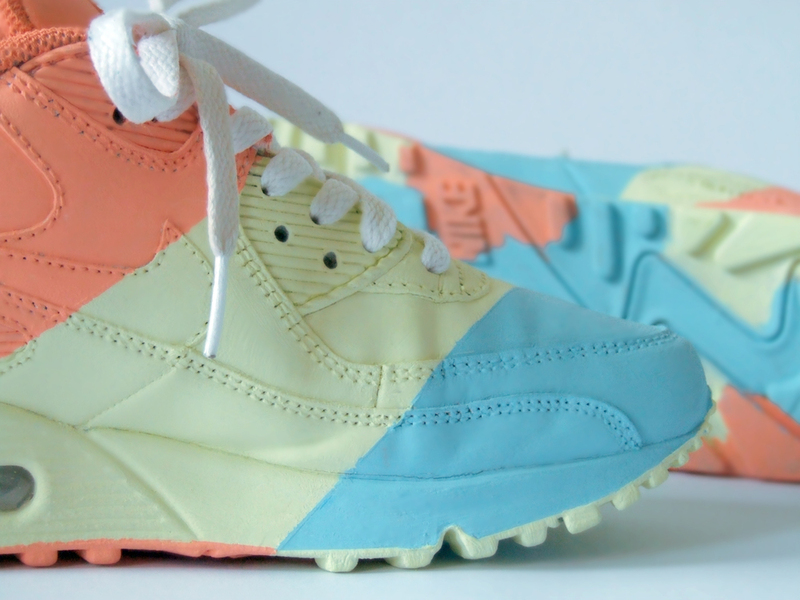 Placed in an transparent shoebox this sneaker shines through with all its glory. 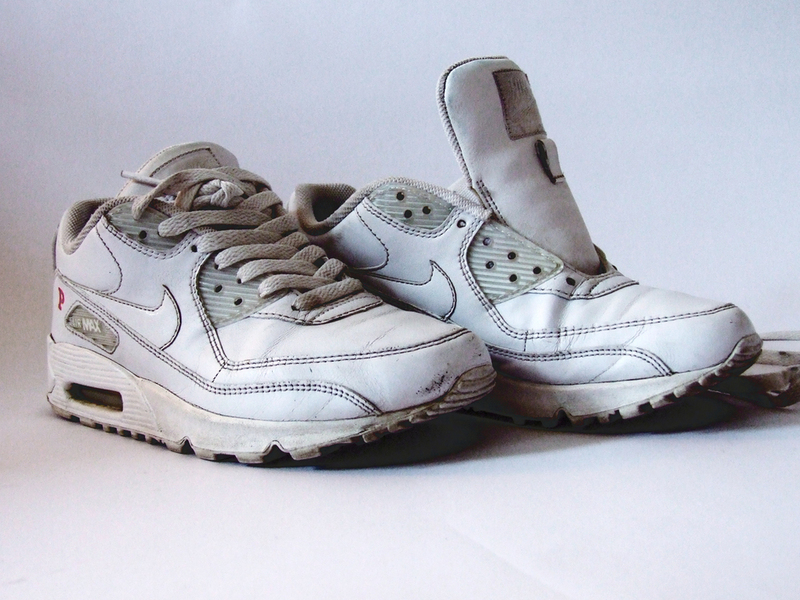 The Mental Meth was featured on several sneaker blogs, including the Spanish, French and German Sneaker Freaker magazines.